Johnson Enterprises is an innovative company providing solutions for the saw milling industry. With over 20 years experience, Johnson Enterprises understands its customer’s needs and is committed to a total quality system that strives to exceed the highest industry standards. Through extensive Research & Development and constant innovation, Johnson Enterprises has a wide range of high quality products. 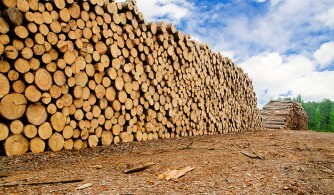 Due to unique patented tool designs, the Johnson Enterprises line of products have proven to increase mill debarking productivity by reducing fibre waste and bark content therefore considerably increasing wood mill profitability. When Yvon Johnson (founde) first recognized the need for a unique debarking tool, he believed in the principles of high quality products and superior customer service. Thirty years later, the company has never lost sight of these ideals. Today, Johnson Enterprises has a reputation for exceeding both industry standards and customer expectations, and providing a personalized service that is unrivaled.